On March 31, Fred Koontz, PhD, the zoo’s vice president of Field Conservation, shared with us some important news he had just received from Penny A. Becker, PhD, a wildlife diversity division manager at Washington Department of Fish and Wildlife (WDFW). It was potentially devastating news. 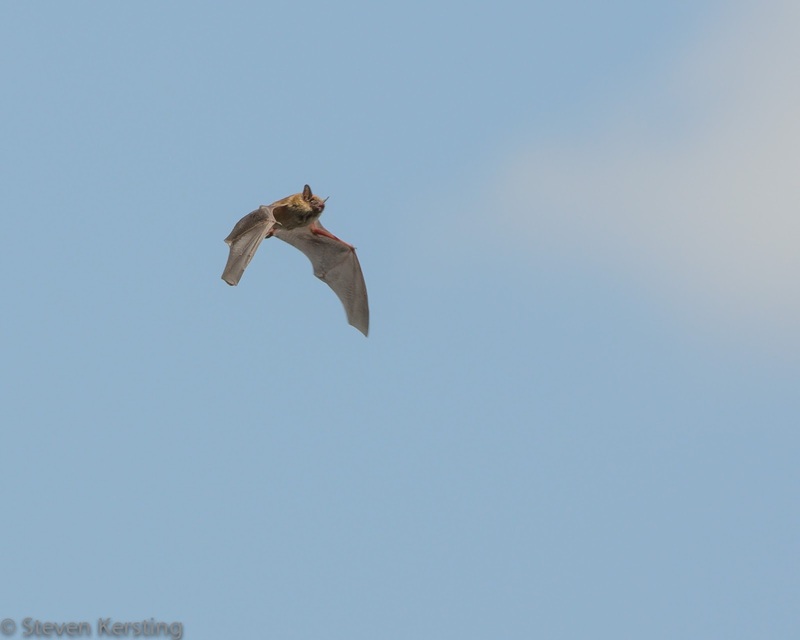 Penny’s email had detailed the first white-nose syndrome detection in a Washington state bat. 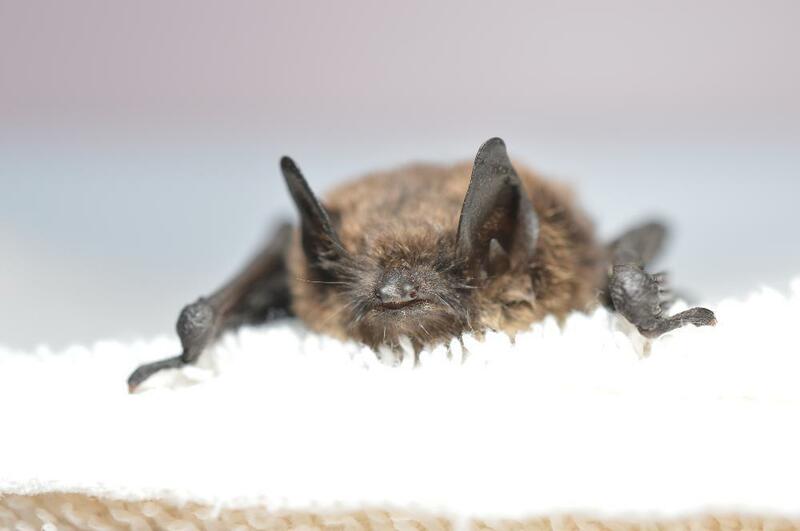 The bat, found by hikers near North Bend, positively tested for the deadly disease. A mere 30 miles east of Woodland Park Zoo and the first case of white-nose syndrome west of the Rockies, the discovery could be catastrophic for local bats. 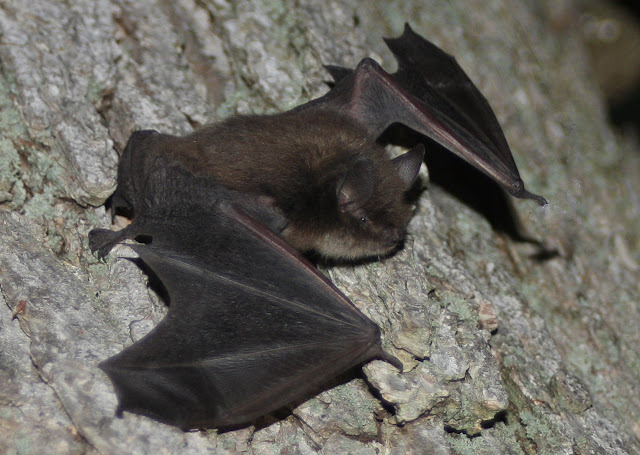 This is disturbing news for bat conservationists across the country and very concerning for the bats in our own backyard. While you may not have heard much about the disease in the West, it is infamous on the East coast and much of the Midwest. 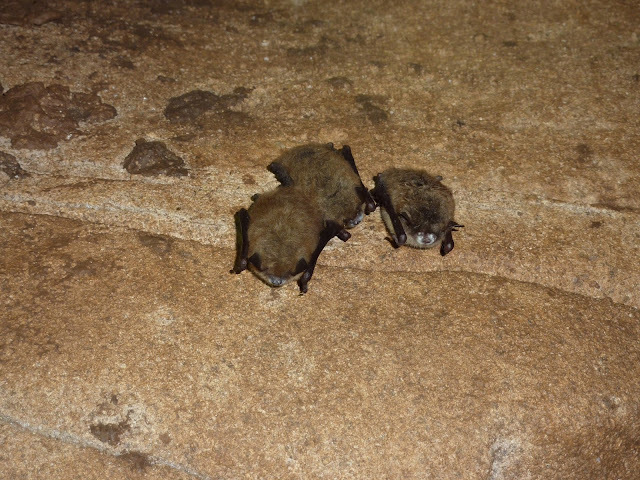 Pseudogymnoascus destructans or white-nose syndrome has wiped out nearly six million bats in the United States since 2006. Until now, the disease had sprung up primarily in the northeast and had moved southwest towards Arkansas and Missouri, so this big jump to Washington state is very troubling. White-nose syndrome is named for the fuzzy, white fungal growth that often is observed on the muzzle of a sick bat. 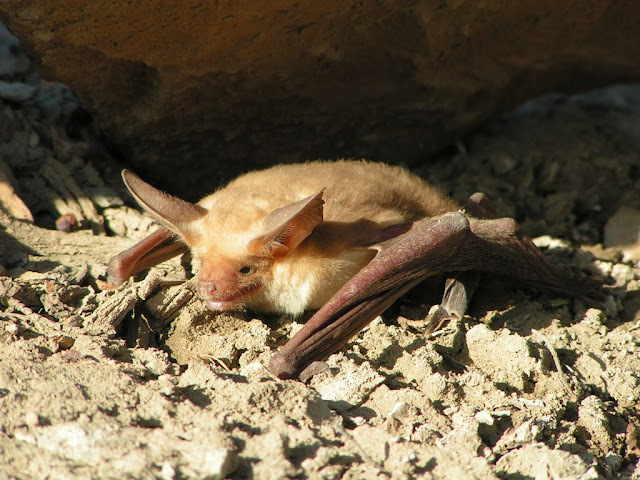 The fungus invades a hibernating bat’s skin and causes damage to its delicate wings and internal organs, often leading to disturbed hibernation, depleted fat reserves, dehydration and death. The disease itself is devastating. The fungus can kill 100% of a colony in a single winter. WDFW says the fungus is primarily spread from bat-to-bat contact, but that people can unknowingly carry fungal spores on their clothing, shoes or caving gear. Did you know that 20% of all mammal species are bats? 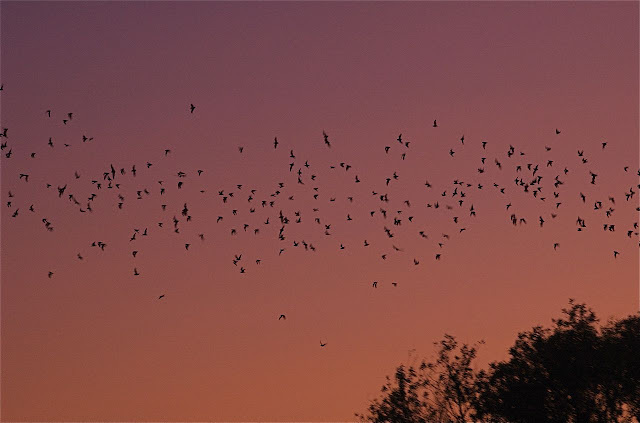 We are lucky to have more than 15 species of bats here in Washington. Though they are sometimes hard to spot, these creatures live in both rural and urban areas. Take a walk around Green Lake just around dusk and you are sure to spot a pair dipping and diving through the air chasing insects. Watching these nighttime flyers perform aerial ballet is a treat, but their benefits go way beyond a good show. Bats play an incredibly important role in insect control, especially in mosquitoes which can carry diseases to people and other animals. Bats are so good at pest control they enable farmers to reduce their pesticide use. Scientists estimate that bats save us anywhere from 3.5 to 54 billion USD in pest control each year! Some bats are also pollinators, so not only do they protect our crops from insect pests, but they also pollinate the plants themselves. Though popular culture has not always been flattering to bats, these diverse animals are ecologically and economically critical. They help us, and now we need to help them. Bats already face threats from wind turbines, habitat loss and humans, but white-nose syndrome is scariest of all because of its highly lethal nature. What can you do to help bats survive? Early detection and studies will help biologists mitigate white-nose syndrome. WDFW is asking that the public help to report any dead or sick bats so that additional testing can be conducted for white-nose syndrome. Do not pick up the animal because an injured or sick animal is a scared animal and they will bite to protect themselves and can potentially carry rabies. If you notice bats exhibiting unusual behavior such as flying outside during the day or freezing weather, please report it. Take a photo or write down what you observe, note where you are and what time it is. Describe the physical appearance of the bat(s) and its behavior. Visit the WDFW bat conservation page at http://wdfw.wa.gov/conservation/health/wns/ and report your observations. You can also call the Wildlife Health Hotline directly (800) 606-8768. Humans can unwillingly help spread this disease, so decontamination of field gear is key. If you are a frequent cave enthusiast, or spend time spelunking or explore/work in mine shafts where bats live, please follow these guidelines for mitigating fungus that may hitch a ride on shoes or climbing gear. Bats aren’t scary, but the thought of losing them is. The more we know about white-nose syndrome, the better equipped we will be to mitigate this disease. Thank you for this excellent information. I will pass it on to my friends who spend time outdoors. This of course creates a lot of excitement. Again the problem is that most are not able to get their two people. You might be a person who has no problems or issues of recruiting two people but you need to keep in mind that others typically are not able to accomplish this.